Learn how to download the Storypark for Teachers iOS app here or the Android app here. 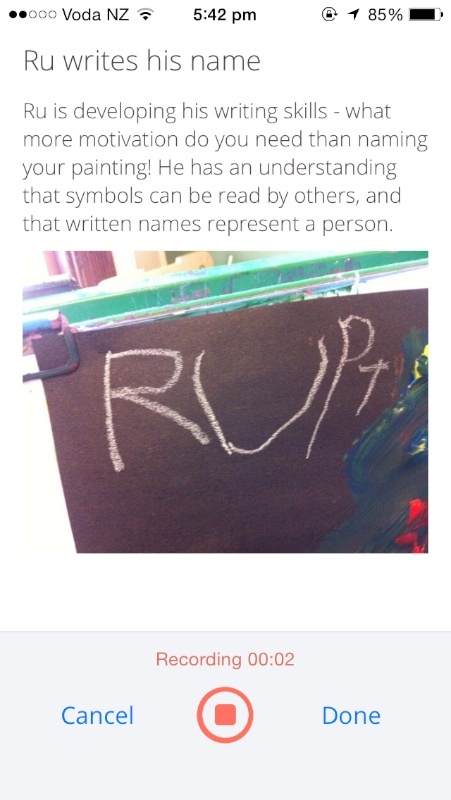 You can comment on any story yourself, or from the child's perspective. 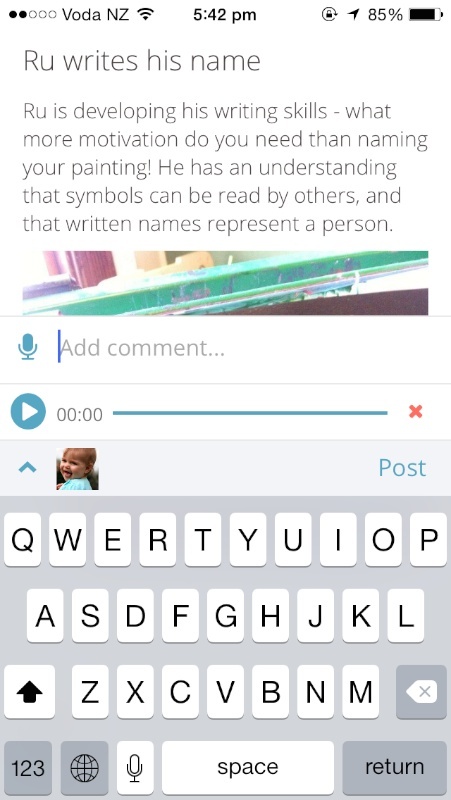 You can comment using text, or audio. To learn how to make different types of comments, see this article (near the bottom of the page). It is important to revisit stories with children, and helping a child to actively comment on their own stories is a great way to involve them. 1. Click on the story the child will be commenting on. 2. Click the microphone symbol next to 'Add comment...' and recording will begin immediately. 3. 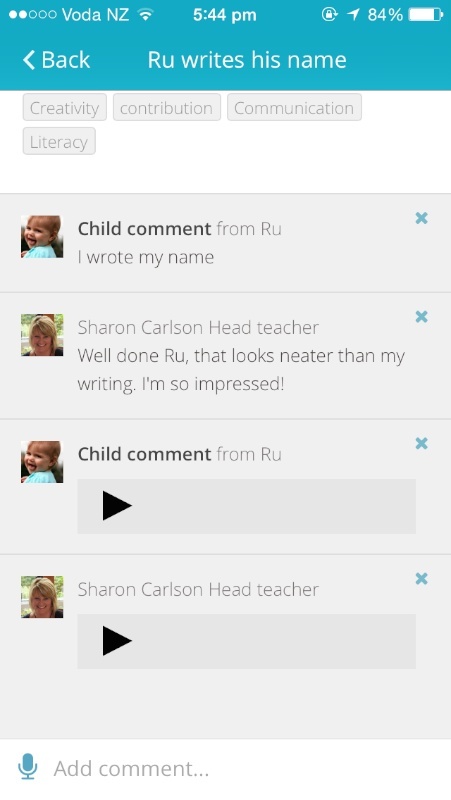 When the child has finished recording their audio comment, click 'Done'. 4. Click on your profile picture beneath the comment field. 5. Select the child who's making the comment and click 'Done'. 6. If you wish to start again, simply click the red 'x' next to your recording to delete it. 7. If you and the child are happy with the recording, click 'Post'. 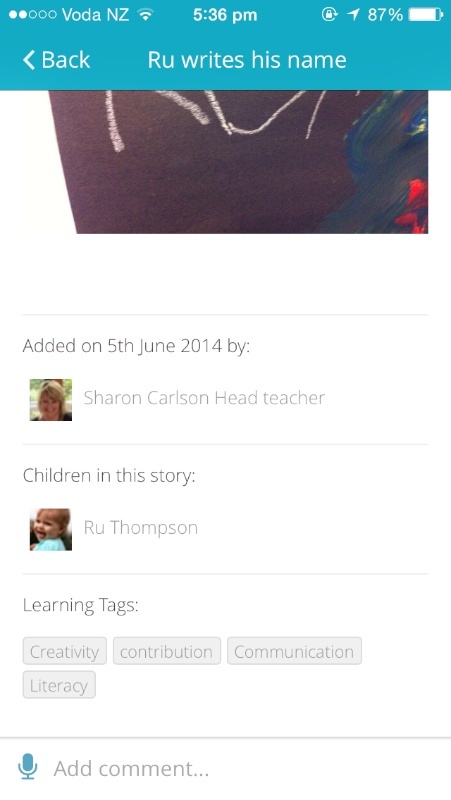 If you wish, you can delete your child's comment by clicking the blue 'x' to the right of the published comment.